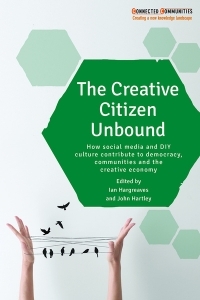 The Creative Citizen Unbound: How Social Media and DIY Culture Contribute to Democracy, Communities and the Creative Economy. Ian Hargreaves and John Hartley (eds). Policy Press. 2016. Drawing upon the findings of a 30-month research project, The Creative Citizen Unbound: How Social Media and DIY Culture Contribute to Democracy, Communities and the Creative Economy, edited by Ian Hargreaves and John Hartley, explores the potential of civic-minded individuals to participate in ‘creative citizenship’ by utilising social media and engaging with the creative economy. Although she would have welcomed more detailed discussion of the book’s guiding concepts, Paz Concha recommends its wealth of case studies and examples to academics and practitioners looking to enhance their research impact or build strategies for knowledge exchange. Presenting different case studies in the UK, The Creative Citizen Unbound: How Social Media and DIY Culture Contribute to Democracy, Communities and the Creative Economy, edited by Ian Hargreaves and John Hartley, is the result of a research-council-funded project entitled ‘Media, Community and the Creative Citizen’. The research team asked ‘how does creative citizenship generate value for communities within a changing media landscape; and how can this pursuit of value be intensified, propagated and sustained?’ (2). The book thus depicts how communities can use media – in particular digital media − to enhance the impact of their grassroots projects. The Creative Citizen Unbound focuses on analysing different cases where researchers’ professional expertise contributed to finding new ways of improving the outreach of community-based organisations and of fulfilling the aims of their creative projects. The contributing authors worked with a range of different organisations, including hyperlocal media practitioners (local newspapers or ‘citizen journalists’) in Birmingham and South Wales; a community-led design of the built environment project in Tottenham, North London, and in Lewisham, South East London; and a creative network, the South Blessed studio, a video channel and web-based platform for music and video in Bristol. The ‘Creative Citizen’ project operated as knowledge exchange experimentation between community practitioners and academics; in this sense, the authors stress the idea of co-creation whereby participants have designed media or creative solutions in collaboration with the research team. The Creative Citizen Unbound is useful as a set of guidelines, case studies and methods for practitioners or academics looking to engage in grassroots projects to obtain greater impact in their research. However, although the book offers a practical course of action for collaborative research with communities, it is highly ambitious in its attempt to introduce concepts and theoretical ideas along with the results of the research project. As a consequence, the publication does not always sufficiently address the conceptual debates around ideas like creativity and citizenship and their connection with cultural economies. In particular, the conceptual argument about creative citizenship is not sustained throughout the text, and at some points even seems forced. Hargreaves defines creative citizenship as ‘the application of creativity to a civic purpose or civic effect, intending to indicate that creativity might well have considerable civic value, even where it does not have consciously civic intent’ (6). This definition addresses the idea of creativity from a ‘civic perspective’, but this is not necessarily linked with cultural or creative economies in which creative labour aims to generate economic value. 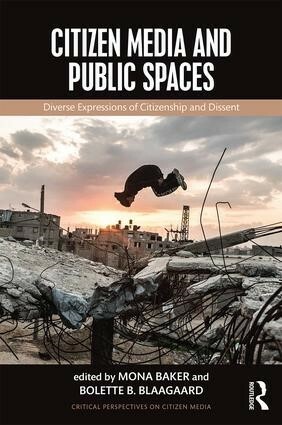 If there is a connection between creativity, citizenship and cultural economies, this is not adequately explained in the introduction or throughout the book. Nevertheless, the use of a diverse range of case studies and methods is the main contribution of this publication. The case studies in the book offer rich examples of different kind of fields in which grassroots organisations are successfully engaging with their communities and aiming to improve through collaborative practices with researchers. For example, Chapter Nine, ‘Civic Cultures and Modalities of Place-Making’, explores the relationship of three case studies with their local areas and how place ‘operates as a focus for identity, spurring civic engagement and social activism’ (22). The chapter revolves around case studies in which ‘place related’ issues are pressing, including the Wards Corner Community Coalition (WCC) and its involvement in the regeneration of Tottenham. WCC aims to produce an alternative proposition to the current regeneration project of the neighbourhood and to achieve wider participation and involvement from the community. The chapter outlines different ways in which WCC has tried to stimulate discussion and gather the different views of local people, such as using their website as a wiki where the community can participate, the use of mailing lists, local newspapers and hyperlocal forums and digital storytelling within the group’s public online media (a website and blogs). However, while the chapter announces in its title that it will refer to ‘modalities of place-making’, there is little discussion about how places are negotiated, transformed or constructed through the work of these organisations. The chapter focuses on how organisations could enhance their media strategy to promote their cause and reach their intended local audience, but does not address or follow the ‘modalities of place-making’ in the regeneration process in Tottenham. It is mentioned that ‘hyperlocal news can also play a crucial role in place-making’ (205) and that ‘contested neighbourhoods are seen as potentially transformable by citizens’ creative agency’ (207), but the chapter does not specifically explain how these places are made or remade by local people. Questions about the actors involved (the community, the council, developers) are not raised; nor about the alternatives that the community is trying to promote and the struggles between different stakeholders. This chapter therefore uses the context of regeneration to introduce the selected case studies, but does not go deeper into questioning how ‘creative citizenship’ can produce place. Similarly, Chapter 10, ‘Technology and the Creative Citizen’, focuses on the role of online communication technologies within communities for ‘discussion, activism, collaboration and creativity’ (22), and how they might contribute to gain ‘new civic potential’ (231). The chapter discusses how different technologies can have distinct potentials for community organisations and how they serve as mediating tools for communities to actively engage in creative citizenship practices. The chapter proposes that top-down applications of digital tools like Facebook or similar platforms do not necessarily fit with the particular needs of certain communities, and that to increase participation or create more value within communication networks, print media and face-to-face events could be more suitable. This proposition is not new; unfortunately, the team does not make any connection between this finding, even within the co-designed approach suggested in the introductory chapter, and, for example, a long tradition of studies in the context of Information and Communication Technologies for Development (ICT4D), where the use of digital technologies for community enhancement has been widely discussed. The Creative Citizen Unbound offers a report of research into digital media communications in a diverse range of grassroots and community organisations through a collaborative approach between practitioners and academics. While a number of conceptual issues are not always sufficiently defined or addressed, the case studies and examples from the UK and the discussions of different methodologies used would nonetheless be interesting for academics and practitioners looking to enhance their research impact or build strategies for knowledge exchange.